Weekends at Tilted Barn Brewery are a bit of a feeding frenzy, with customers lined up early at the Exeter farm to nab a precious allotment of a dozen or so cans of The Chosen One IPA or whatever else owners Matt and Kara Richardson are brewing up that week. The “tilted barn” in the name isn’t just a marketing gimmick: the barn housing the brewery dates to the 19th century and has a decided lean to it, but it’s definitely in its glory days compared to a past that included service as a woodworking shop, Christmas tree stand and shelter for livestock. Not only is Tilted Barn the only Rhode Island brewery based on a farm, support for local farmers flows through every glass and can of their beer. The hops, pumpkins, maple syrup, and spruce tips used to flavor seasonal brews are sourced on-site, peaches and raspberries used in the new Berliner Weisse come from Narrow Lane Orchards and even the yeast is native to Rhode Island. The Richardsons never intended to open a brewery when they purchased the Hemsley family farm from Kara’s grandparents in 2011. “The plan was to keep the Christmas tree farm in the family,” says Matt, who met Kara when the two worked together down the road at Schartner’s Farm. Tilted Barn is still very much a family operation. Matt, a passionate home brewer, launched the business in 2015 while still working a day job with the U.S. Department of Agriculture. 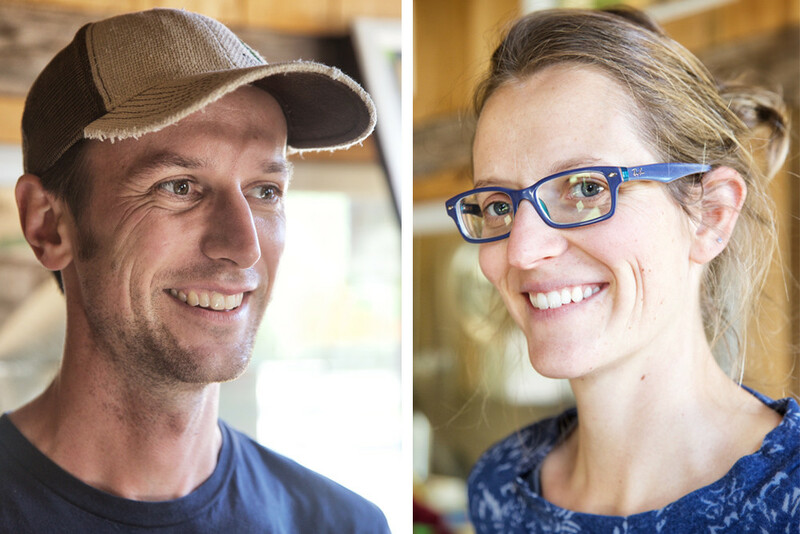 “Until March, I did 100 percent of everything” on the brewing end, says Matt, while Kara designed the labels, ran the farm and took care of the kids.